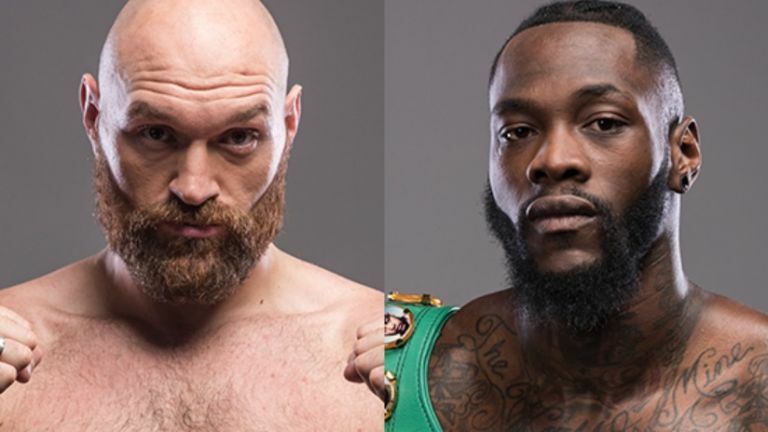 So which way will the Tyson Fury and Deontay Wilder match-up go? With the self-proclaimed 'King of the Gypsies' in the boxing ring, predicting a result is virtually impossible. Fortunately, explaining how to live stream Wilder vs Fury is a much easier task – keep reading to discover how to watch tonight's big fight, no matter where you are in the world this weekend. It's now three years and three days since Tyson Fury enjoyed his career defining night – THAT title win against Wladimir Klitschko. Let's be honest – nobody saw it coming, and the underdog Fury will be hoping to cause another upset in LA tonight. Since the Klitschko victory, times have been tough for Fury. His battles have largely been fought outside the ring against fluctuating weight, mental health problems and the boxing authorities. Back in the gloves, his return has seen comfortable wins over Francesco Pianeta and Sefer Seferi. Deontay Wilder will be a whole different story. The 6ft 7in Bronze Bomber has had a stellar career that shows no signs of slowing down. He has a perfect record over his 40 career fights, complete with 39 knockouts. The WBC heavyweight champion is probably best known in the UK for stopping Audley Harrison in the first round, but he's taken on – and beaten – all comers, and if Fury wanted a challenge he's certainly found it here. The fight is set to start at around 6pm local time at the Staples Center in Los Angeles, USA. That means you'll need to be up at around 2am if you want to live stream Fury vs Wilder. If you're wondering about your watching option, then you're in the right place. And thanks to a VPN, you can even watch the action if you're away in a country that isn't showing the boxing. If the country where you live either isn't showing the fight or you want to catch the UK PPV coverage on BT Box Office from outside the UK, then there's a simple way to get hold of a live stream. The trick is to download and install a VPN, which then allows you to change your IP address so you appear to be in a completely different location. The first fight that played out in the UK where Fury vs Wilder is concerned was between BT and Sky. The former eventually landed a knock-out blow and so the big fight will be shown on BT Box Office PPV. The price of this one is £19.95 – which is usual kind of price bracket for boxing - and live coverage from LA starts at 11.30pm for the undercard. The main event is currently expected to start at around 2am Sunday morning. If you find yourself outside the UK this weekend but still want to grab that BT Box Office stream, you'll find that access is blocked due to geo-restrictions. The way to get around this is by downloading and installing a VPN as described above. Where else has a Wilder vs Fury live stream? Hailing from Tuscaloosa, Alabama, there'll be a massive US following cheering on Deontay Wilder tonight. Showtime has taken the opportunity to make this one a PPV across the Atlantic, charging a hefty $74.99 (so much more expensive than in the UK). The fight will roughly start at 11pm ET / 9pm PT. North Americans that are away from the continent this weekend but still want to jump on that expensive Showtime stream, then be sure to use a VPN to watch it all as if you were back home and with an extra layer of security, too. As in the US, Aussie fans have a usual go-to PPV channel for its boxing coverage. The appropriately named Main Event service is the place to head for Fury vs Wilder in a lunchtime slot at around midday on Sunday. It'll cost you $49.95 to buy the fight. Sky Arena (Sky TV NZ's PPV station) is showing a live stream of Wilder vs Fury for $34.95, with coverage due to kick off at 3pm on Sunday afternoon.